The purpose of this study was to evaluate the efficacy of seven star plum blossom needle therapy on a patient with primary hypertension. Although conventional treatment of primary hypertension with medications is frequently successful, many of these drugs produce harmful side effects, so there is a demand for efficient and safe alternative methods of regulating blood pressure. The patient in this case was a 55-year-old Caucasian male who had suffered from chronic hypertension since the age of 30, with a 40-year history of smoking and a 30-year history of heavy alcohol consumption. The patient also suffered from chronic obstructive pulmonary disease (COPD) and reported palpitations and shortness of breath on exertion. 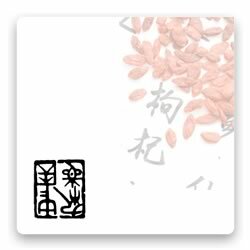 A seven star plum blossom needle hammer was used to stimulate various acupuncture points twice a week for six weeks. The patient’s blood pressure was evaluated before and after treatment during the six-week treatment period and during a subsequent 19-day monitoring period. This resulted in a reduction in both systolic and diastolic blood pressure over the six-week period, which was sustained during the 19-day follow up. The authors conclude that seven star plum blossom needle hammer therapy effectively lowered the patient’s blood pressure to pre-hypertensive values, and that the efficacy and safety of this treatment method should be further evaluated in a larger controlled clinical trial.